A big third period for the LaSalle Vipers dearly cost the Chatham Maroons. The Vipers scored three goals in the final 20 minutes of regulation to beat the Maroons 5-2 Sunday night at Memorial Arena. The Maroons are now tied with the Komoka Kings for fourth place in the GOJHL Western Conference, with 12 points. The Vipers are in seventh place with seven points. Only one goal was scored in the first period, when LaSalle’s Kory Silverio found the net at 8:16, assisted by Dylan Robinson. The score remained 1-0 in favour of the Vipers until late in the second segment, when Chatham tied the game on a Thomas Michaud goal at 18:43. LaSalle regained the lead just 17 seconds later when Cody Schneider put the puck in the net. Silverio struck again just after the start of the third period, extending the LaSalle lead to 3-1. A.J. Ryan extended the lead with a power play goal at 11:59. The Maroons tried to keep pace when Eddie Schulz found the net over two-and-a-half minutes later. Ryan scored his second goal of the night to put the game away, a short-handed empty-net goal. 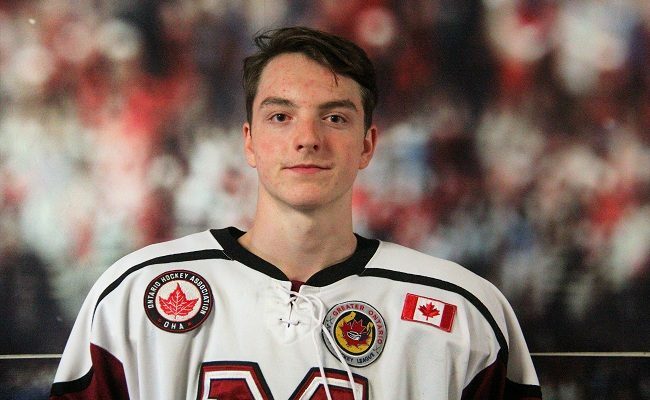 Tristan Lewis faced 34 shots in goal for the Maroons and stopped 30. Will Tragge had 29 saves for LaSalle. The Vipers welcome Strathroy to the Vollmer Complex Wednesday night. The Maroons travel to London Saturday night to face the Nationals. Puck drop is scheduled for 7:30 p.m. and all the action can be heard on CFCO Country 92.9FM/AM 630.